From the Tough Tourer taking on the challenge of the big lap to the weekend off-road warrior, we have the Gear to Get More from your 4x4. 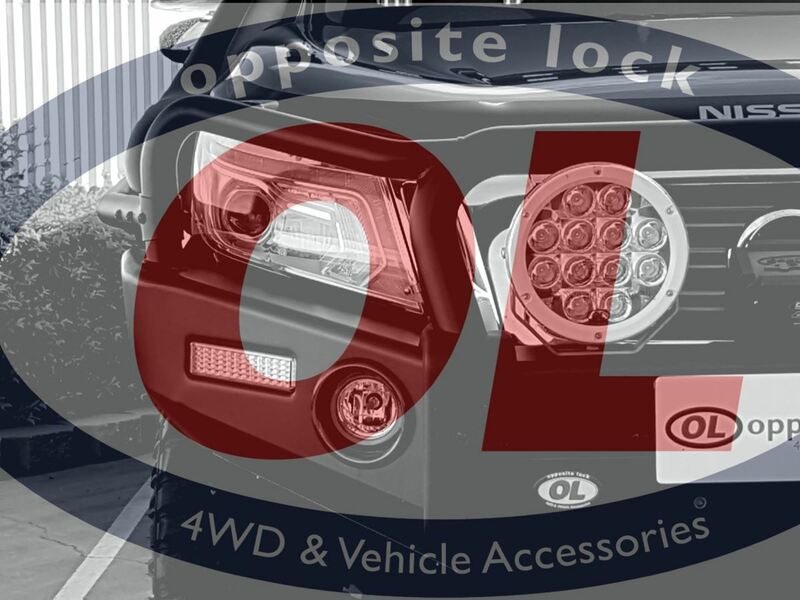 Here at Opposite Lock, we supply and Fit a range Accessories from Frontal Protection to Towbars, and everything in between. 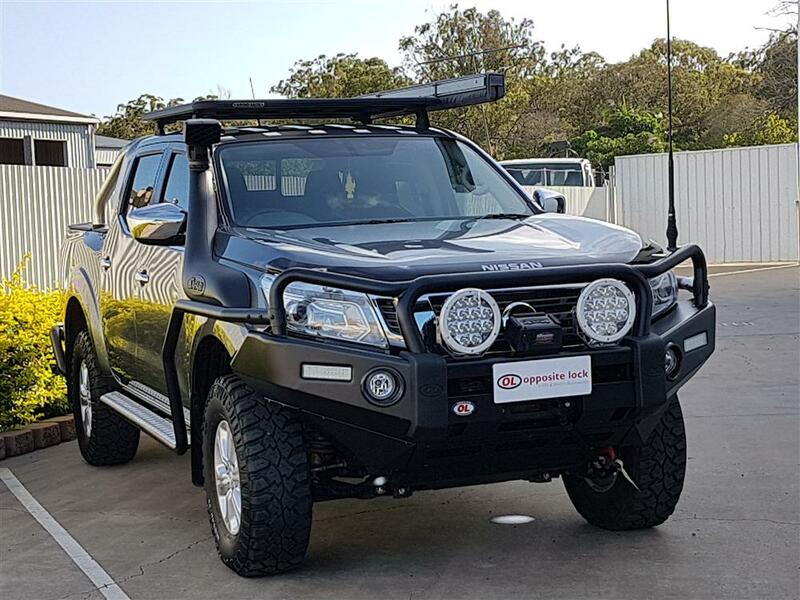 In this blog, we showcase a Nissan Navara NP300, which was decked out from bar to tow! How should I set up my vehicle? When you think about a deckout on a vehicle, there are 3 main areas you need to consider, protection for your vehicle, Style, and what is going to suit your application most. Here at Autokit, every accessory fitted has style. 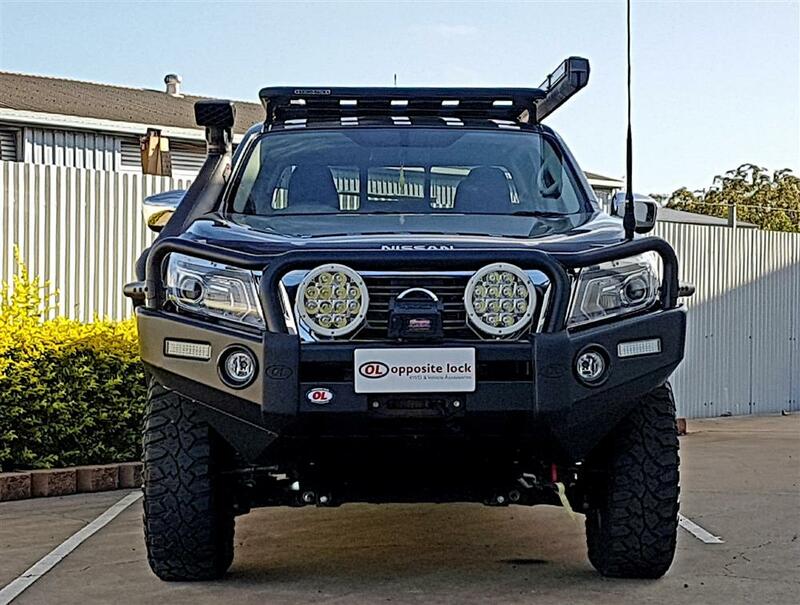 This NP300 Mod included an Opposite Lock Bullbar, Brushrails and Steps, Dobinsons Winch, Opposite Lock Spotlights, Safari Snorkel, Uniden UHF and Aerial, Rhino Pioneer Rack, Tonneau Cover, Tough Dog 2 inch Suspension Kit and a Opposite Lock Rear Step Towbar. More detail of these products are outlined below. 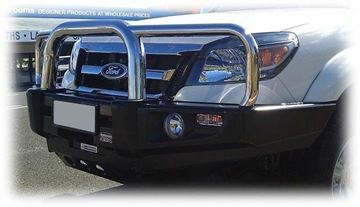 Protects the front of your vehicle, whilst providing a place for your spotlights, winch and aerial to mount. 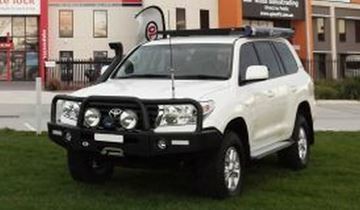 Here at Autokit, we offer a range of bullbars to suit the Nissan Navara, depending on your personal preference. Our range for the Nissan Navara NP300 include the Opposite Lock Triple Loop Bullbar, Opposite Lock Post style bullbar, Opposite Lock Fleet bullbar, Opposite Lock Single Loop bullbar, Opposite lock Urban adventure bullbar, Outback Accessories XROX Bar, Dobinsons Classic Black Steel Bullbar, Dobinsons Classic Black Deluxe Bullbar, Dobinsons Stainless Loop Deluxe Bullbar, ECB Bigtube Alloy bullbar, Nudgebar and H-Rack Combos, ECB Nudgebar and the Smartbar. 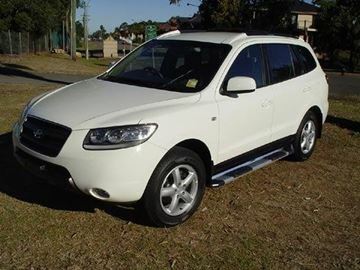 If you are planning to deckout your vehicle, brushrails and steps are a great option. There are 3 main reasons why siderails and steps are added to a vehicle. First and foremost; for protection, Secondly; to stop mud and rocks flicking up and damaging the panels on the vehicle, and thirdly, to improve accessibility to the vehicle. When considering buying a winch, we have a huge range of winches including Warn, VRS and Dobinsons. Our most popular winch is the Dobinsons winch with Synthetic Rope. The Dobinsons winch is an absolute essential to the weekend off-road warrior. Dobinsons’ winches are a neat winch, that come standard with a handy wireless remote. 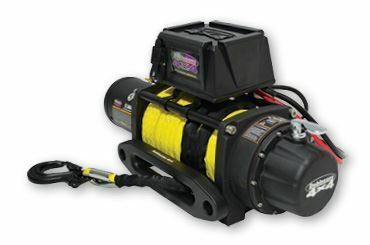 The Dobinsons winch is available in 9’500pd or 12’500pd, steel cable or synthetic rope. A tip to save money on fitting time is to get a winch fitted at time of fitting the bulbar. Did you know, the brighter light is on the front of your vehicle at night, the less fatigue you’ll have to fight. The three brands sold instore include; Opposite Lock, Lightforce and Ultra Vision. Our most popular LED spotlight is the Opposite Lock 9inch LED Spotlight. Snorkels are designed to keep your engine free of water, free of dust, and to keep a greater flow of air running through. Did you know; one shot glass of water is enough to drown an engine! 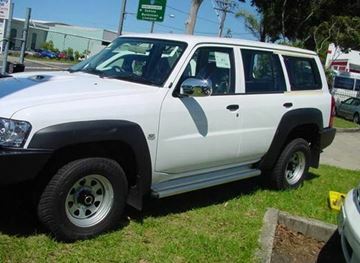 Setting up your vehicle for the big lap, or to do the weekend off-road outing, a snorkel is essential. Safari snorkels have a great reputation, and for a good reason! Where ever you are, on or off-road, communication is critical! Here at Autokit, we sell both Uniden and GME product. Both Uniden and GME are great looking units that are Australian made and come with a great warranty. Roofracks are a great option for carrying items including Kayaks, bikes etc that do not fit in the cab or rear of the vehicle but add extra storage and a place to mount an awning. This NP300/ D23 was fitted with a Rhino Platform Rack. Rhino Racks are a very popular product for both tourers setting up to do the big lap and for the weekend off-road warriors. This Nissan Navara was fitted with a Tough Dog suspension kit. When setting up your vehicle, one of the most important things when setting up a vehicle with suspension is doing it correctly with the right weights. Our staff at Autokit are fully trained to know what your vehicle needs to improve the ride of your 4x4. Fitting the incorrect weighted springs to your vehicle will result in a harsh ridged ride. We would recommend fitting all the other accessories to the vehicle first before doing suspension, therefore you will get the weights right. Here at Autokit, we have a range of Suspension Kit brands available for most vehicles including; Outback Armour Suspension, Tough Dog Suspension and Dobinson 4x4 Suspension. The Opposite Lock Rear Step Towbar integrates towing and protection into one bar. This sleek designed rear step protection towbar is one of the essential accessories for a weekend off-roader. The Rear step also gives greater access to the roof of a canopy and doubles as awesome protection for the rear of your 4x4.